DCD> Middle East: New build or lease – which is most effective to scale according the demand? Demand for data centers is only on the increase – is new build always the answer? Khazna Data Centers to host discussion, challenging whether new build is always the answers; or is lease the way forward to scale quickly to demand at DCD>Middle East, at Hyatt Regency Dubai on 27 November. With digital transformation truly hitting the Middle East, the need for local data residency from core sectors including healthcare, government and public sectors has never been more in demand. What are the main drivers for new build and what are the benefits of leasing which you cannot achieve with a new build? These are questions with no easy answers however it is clear that moving data to cloud even temporarily could be a sensible move to allow time to form a heavy investment new decision to new build. Discussions on the 27th will also include the impact of cloud solutions on the region - can it be argued that it diminishes the need to build from scratch? DCD>Middle East will debate the criteria enterprises should consider when forming a decision on whether to commit to a new build or lease in an era where data storage is only on the increase. 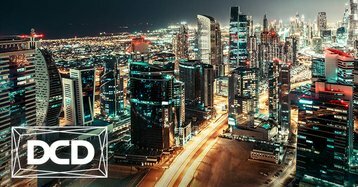 Don't miss your chance to join the latest developments driving the Middle East's infrastructure by registering for DCD>Middle East on November 27, here.